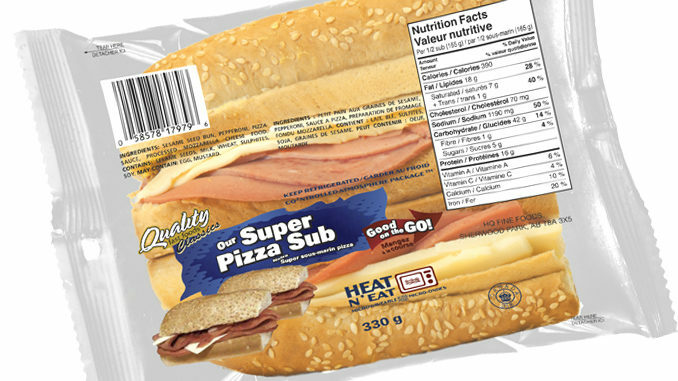 Officials with the Canadian Food Inspection Agency (CFIA) have expanded a list of recalled sandwiches due to Listeria contamination. The food recall warning originally issued on December 21, 2017 has been updated to include additional product information identified during CFIA’s food safety investigation. The updated list now includes 36 varieties produced by Edmonton-based HQ Fine Foods sold across Canada under the following brand names: Best Value, Fresh and Local, Hygaard, Made To Go, Quality Fast Foods, Quality Fast Foods Classics and The Snack Co.
CFIA says all of the recalled items carry a best-before date of up to and including February 01, 2018. There are either too many bun pieces in that image or the top bun of the upper sandwhich is extremely thick.